Independent forensic investigators released a final report Friday morning, citing “long-term systemic failure” at the California Department of Water of Resources as the cause to the Lake Oroville spillway scare last February. In the report, investigators, organized by the Association of State Dam Safety Officials and led by dam safety expert John France, build on preliminary reports, which identify physical causes to the dam’s emergency spillway damage, including bad design and poor construction. The 584-page report criticizes the Department of Water Resources, which runs the dam, for being “overconfident and complacent” regarding the integrity of its civil infrastructure. Experts called the Department of Water Resources’ dam safety culture “immature” during the first few days of the crisis. "The decisions were made with the best of intentions, but against the advice of civil engineering and geological personnel, who had by then recognized the poor bedrock conditions and the potential for unsatisfactory performance of the previously untested emergency spillway," the report said. 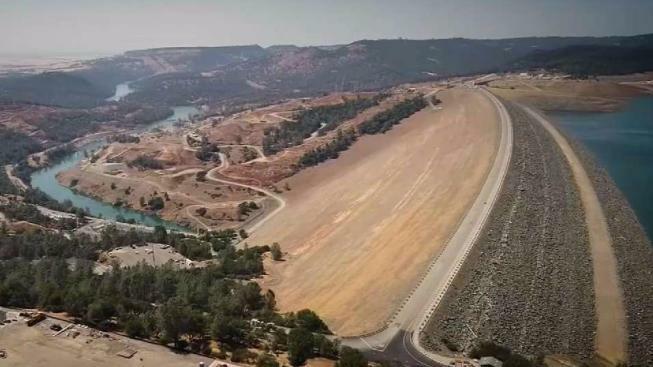 New details revealed by the forensic team reinforce findings from NBC Bay Area Investigative Unit’s six-month investigation into the safety issues at the nation's tallest dam in Oroville. The investigation from September included concerns from state insiders about how the Department of Water Resources manages and maintains its dams. According to the report, one of the designers in the initial planning of the spillway was an inexperienced postgraduate with no history in spillway design. Investigators found that previous inspections of the spillway failed to identify original design flaws. Still the independent forensic team wrote that no single person or organization was fully at fault for the failure. The group of six independent engineering consultants said there was "no single root cause" for the crisis. Rather, they pointed to a "complex interaction of relatively common physical, human, organizational and industry factors."